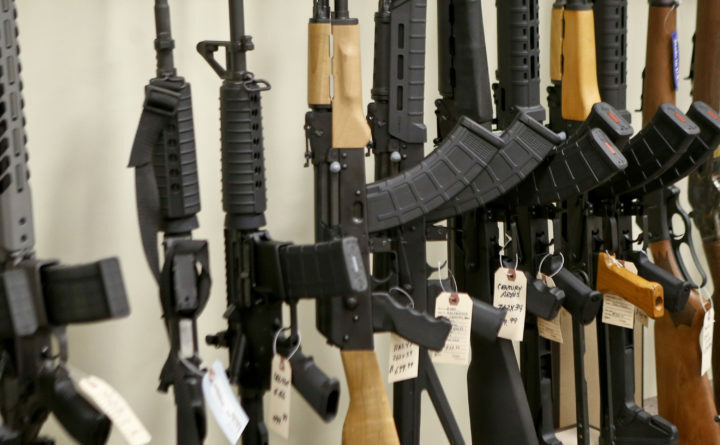 A display of various models of semi-automatic rifles are seen at a store in Pennsylvania, March 1, 2018. Research published Tuesday in the Journal of the American Medical Association shows active shooters with semi-automatic rifles wound and kill twice as many people as those using non-automatic weapons. CHICAGO — Active shooters with semi-automatic rifles wound and kill twice as many people as those using non-automatic weapons, although chances of dying if hit with either type of assault are the same, a new analysis shows. Recent attacks involving semi-automatics include the shootings at Parkland High School, Orlando’s Pulse nightclub and Sandy Hook Elementary School. The average number of people wounded in semi-automatic attacks totaled nearly six versus about three in attacks with a non-automatic weapon. Roughly four people were killed on average in semi-automatic attacks, compared with about two in other attacks, the study found. A longtime gun owner and sports shooting enthusiast, Crifasi said her understanding of gun culture brings a different perspective to gun research and safety. “The main thing is that there are gun owners like me … who support common-sense solutions to reducing gun violence,” she said.